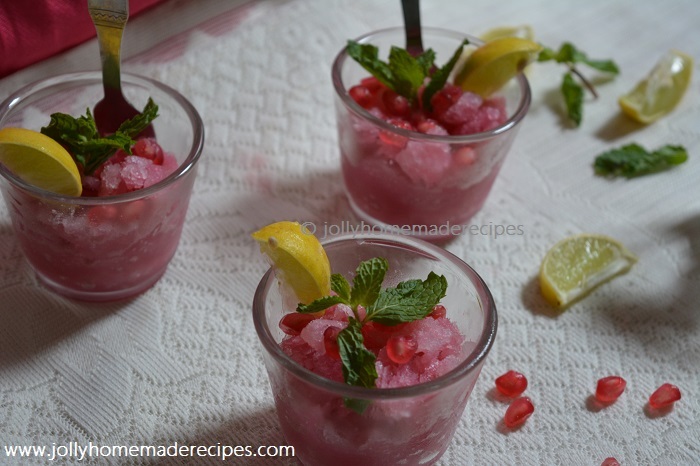 Pomegranate Granita recipe with step by step process - It is simple, light and delicious dessert. Pomegranate is a wonderful and very healthy fruit. Pomegranate is rich in antioxidants and other essential nutrients which prevents premature skin aging and keep the complexions smooth and radiant. Apart from this, in general, pomegranate is an extremely healthy fruit with lots of other health benefits too. 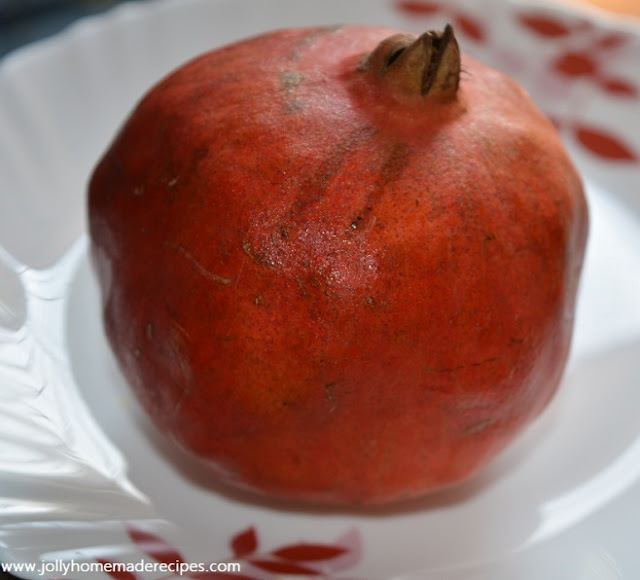 Pomegranate are easily available in supermarkets throughout the year these days, otherwise earlier it comes in peak season coming in October to January. Pomegranates are a rich source of potassium. 1. 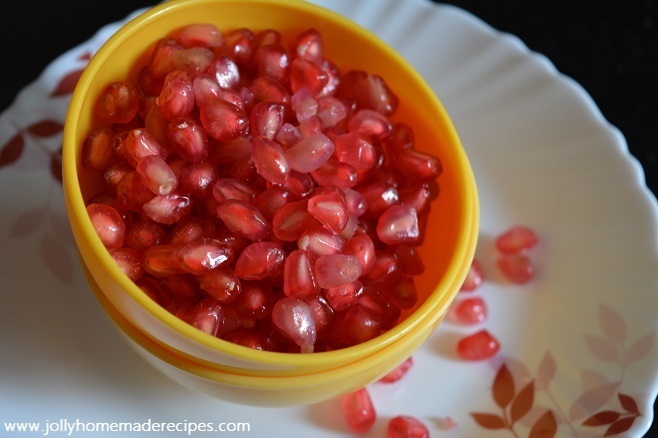 First, remove the pomegranate aril (pearls of seeds with pulp) from the fruit. 2. Bring the sugar and water to boil stirring to dissolve the sugar, set aside to cool down. 3. 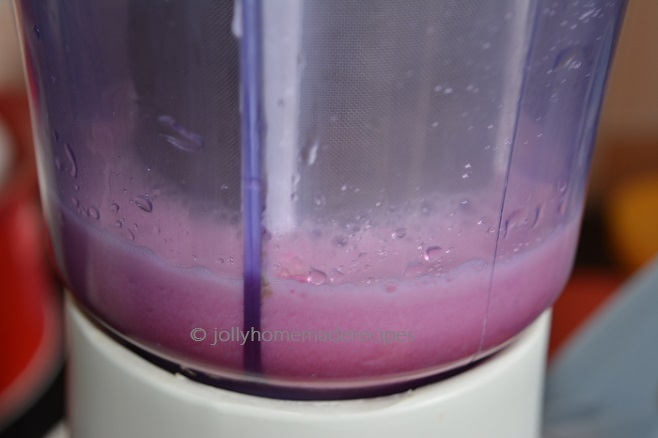 Process the pomegranate arils to a blender with little water and blend well. 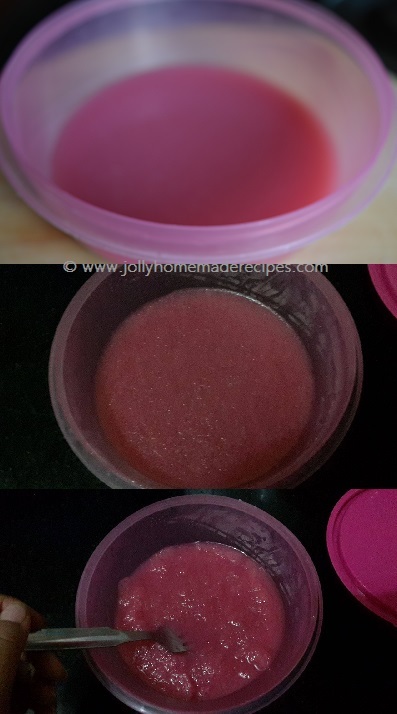 Pass through a fine mesh sieve to remove the seeds, and transfer the pure pomegranate juice to a large pan. 4. Mix the pomegranate juice and simple sugar syrup. Now add lemon juice and mix well. 5. Pour the mixture into a large pan or ceramic dish. Put into the freezer and every 1 hour, stir and scrap the mixture with a fork. 6. Again, place back the pan into the freezer for 1 more hour. 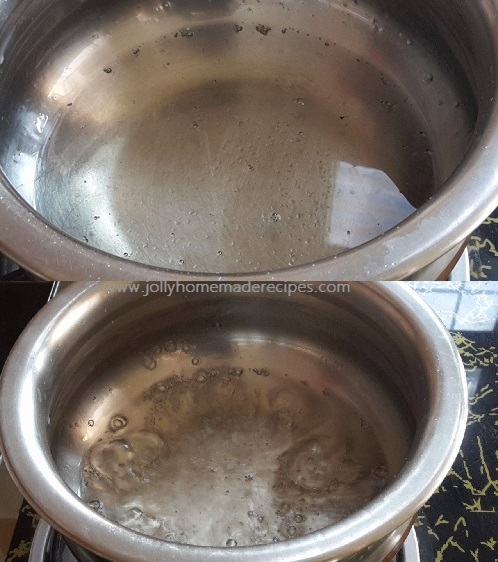 After the second 1 hr, again pull out the pan and use a fork to scrape the ice crystals. Repeat the same process, for a third time. Freeze it overnight. 7. Now, freeze the granita for 1 final hour until nicely solid or you can leave it overnight. By now the granita should be flaky as seen in the pic. Right before serving, pull the pan out of the freezer, use a fork to scrape the ice. Spoon it in serving glasses. 9. Enjoy cold. 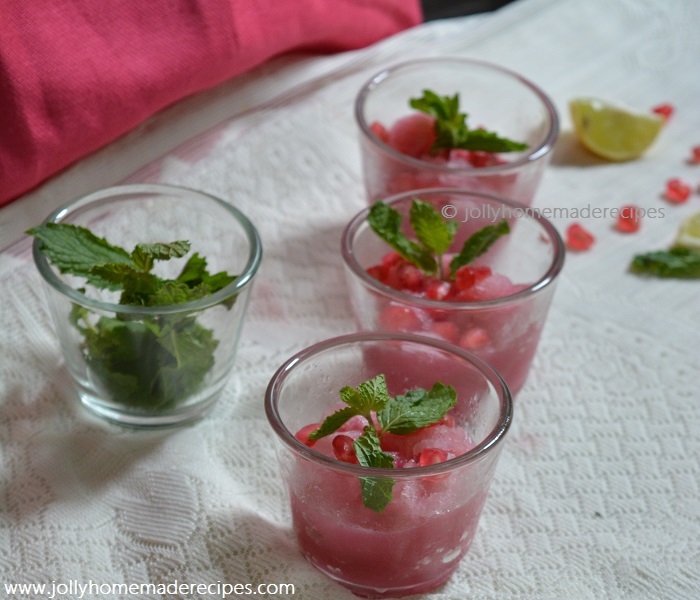 Garnish with some pomegranate arils, mint leaves and a slice of lemon. 10. 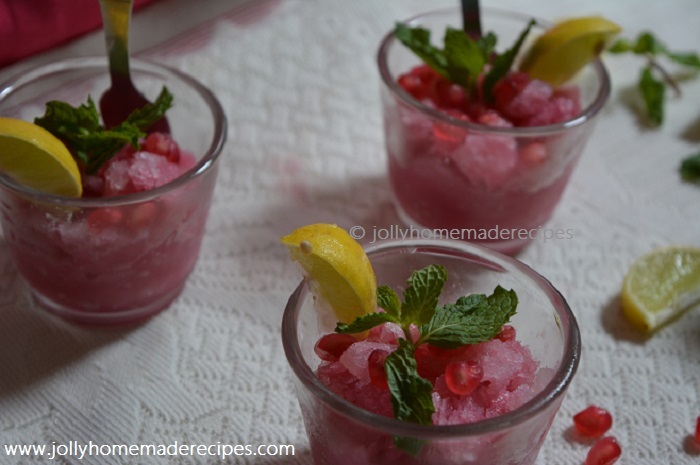 Serve the granita immediately after pulling out of the freezer. It will melt quickly. 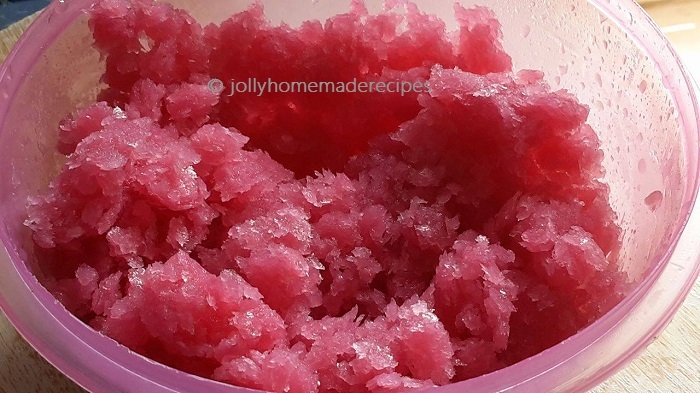 Lovely Granita recipe. Perfect for fasting as well as summer cooler. Thts a lovely share for this summer!!! 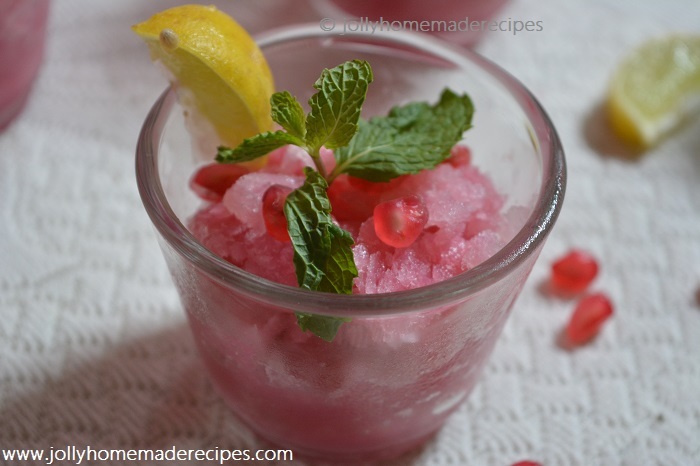 Pomegranate granita looks deliciously refreshing! lovely share Jolly for summer as well as for fasting. Perfect for this hot weather. Loved your presentation. Refreshing and seasonal jolly. Perfect for summer. I wish i could grab one rite now. 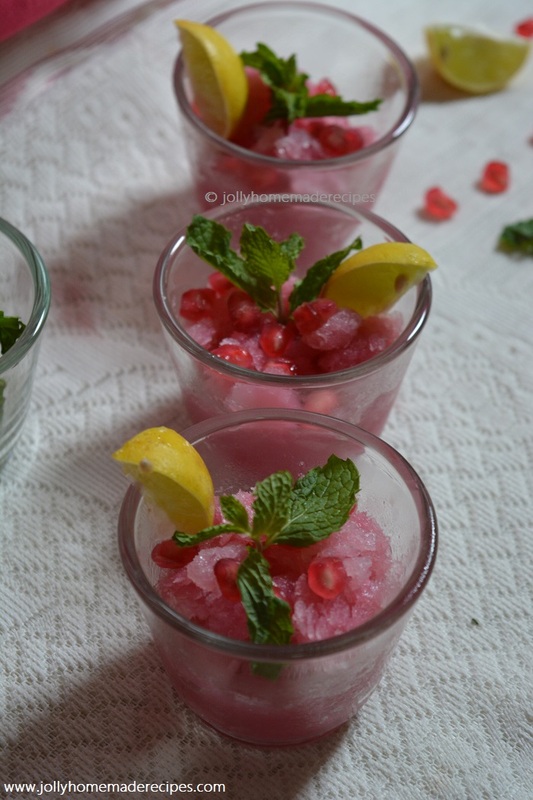 That granita looks gorgeous..and perfect for a fast during the hot summer.